Today we're talking about Live Clean's newest shampoo and conditioner release - the Mineral Clay Rebalancing range. 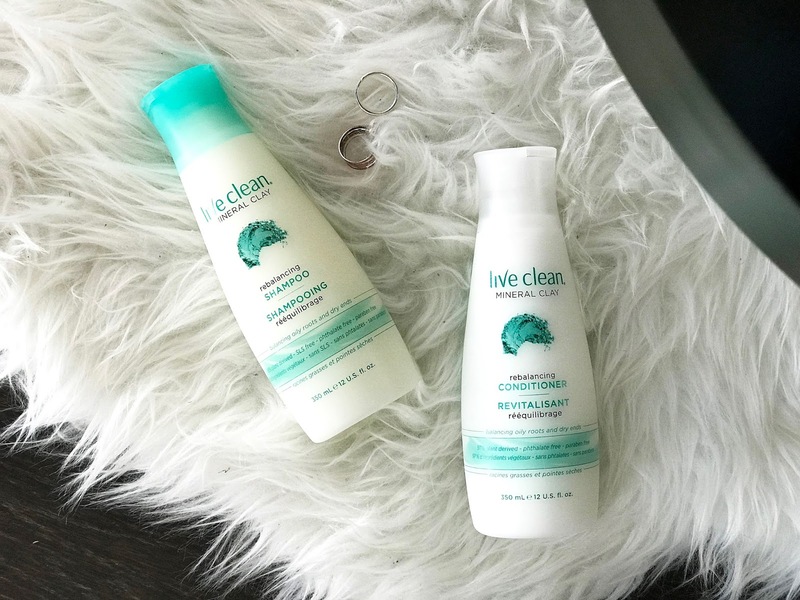 I've actually tried a few different products from Live Clean before (hair care, hand soaps, etc), but I was super excited to hear that they've released a shampoo and conditioner duo for "combination hair" ie. oily roots and dry ends. As someone who washes their hair every day (I know, forgive me, but I am trying to get better at going on no hair wash days! ), my hair gets oily very easily especially at the roots. In turn, the ends of my hair lose their moisture resulting in dry and split ends. Live Clean's Mineral Clay Rebalancing shampoo purifies oily roots while the conditioner hydrates, detoxifies, and moisturizes dry ends. Live Clean's Mineral Clay Rebalancing Shampoo and Conditioner combine three mineral clays - Kaolin, Montmorillonite, and Bentonite - known for their cleansing, oil absorbing, and stimulating properties. The shampoo and conditioner also contain known purifiers such as Apple Cider, Tea Tree, and Green Tea. In terms of moisturization, the range contains Vitamin E and Provitamin B5. I've tried a number of Live Clean's shampoos and conditioners before and I have never been disappointed. My favourite is their Exotic Nectar Argan Oil range which is extremely hydrating, but what I really love about the Mineral Clay Rebalancing range is just that - it's "rebalancing". Since I wash my hair every day, I like how this shampoo and conditioner doesn't weigh down my hair with too much moisture but instead, hydrates where it is needed and absorbs oils where it is needed. Another plus is that Live Clean's products use plant and natural based ingredients, they are paraben free, pure vegan and vegetarian, and are totally cruelty free! 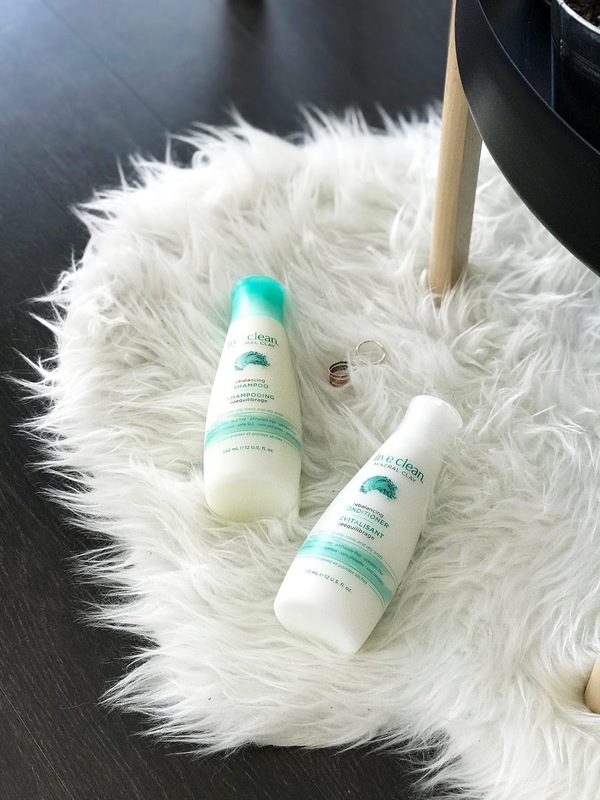 You can find the Mineral Clay Rebalancing Shampoo and Conditioner which retails for $7.99 CAD each at Shoppers Drug Mart, Walmart, and Well.ca now. I have so many more things I want to share from Live Clean with all of you! Keep checking back in a few weeks as I'm sure I'll be adding more blog posts featuring a few of their products. Disclaimer* Products sent complimentary for review, all opinions are my own.